There's a little Paul in us all. I thought this movie was a nice little gift, worth opening. Although I love blockbuster, Hollywwood films as much as the next guy, this is really the kind of cinema we should all be encouraging more. A small, independent film, no doubt made on a tight budget, which gives lesser known actors the chance to shine in roles that will, ultimately, end up helping to define the kind of artists they will one day become. You can see how much everyone involved in this project really wanted to deliver a quality piece--they care about the material. This is the second film I've seen with Brendan Bradley, and I'm becoming a real admirer of his. He's got that insecure, somewhat lonely, disenfranchised character role down pat. He even manages to be creepy and likable at the same time here--you just can't help yourself. He has these big, wandering eyes and you find yourself asking what his character is thinking and what's going on in there. I'd like to see him tackle a more emotional role next, with lots of dialogue and physical movement next. You really root for him here as you did in "Redwoods," for example. You want him to find true love, even if he is a little odd. I encourage everyone to check this film out, if no other reason than to experience the chemistry between Bradley and Russell Garofalo, who is absolutely hilarious in his role as smitten best friend, Ray. Garofalo does his best to try and steal every scene in which he appears, and comes pretty close to it. You could tell some of their scenes were ad libbed and the actors were enjoying bouncing some ideas off each other. 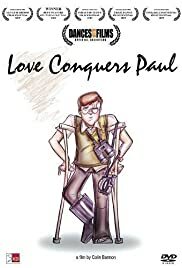 In short, you should find out if Love Conquers Paul, or the other way around. It's worth a closer look.